Full English (a sausage, bacon, mushrooms, tomato, baked beans and an egg cooked to your choice) – also a vegetarian option is available. 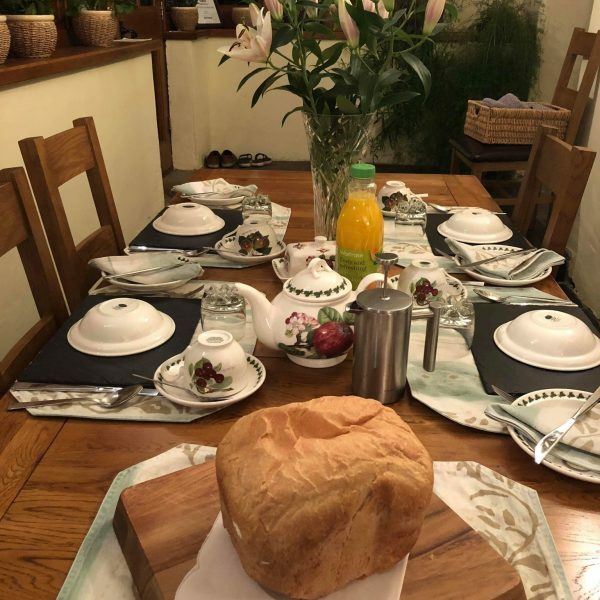 Homemade bread… toasted and topped with homemade marmalade, home grown and homemade jams (when avaliable) also honey where the breeding bees are kept on the farm. 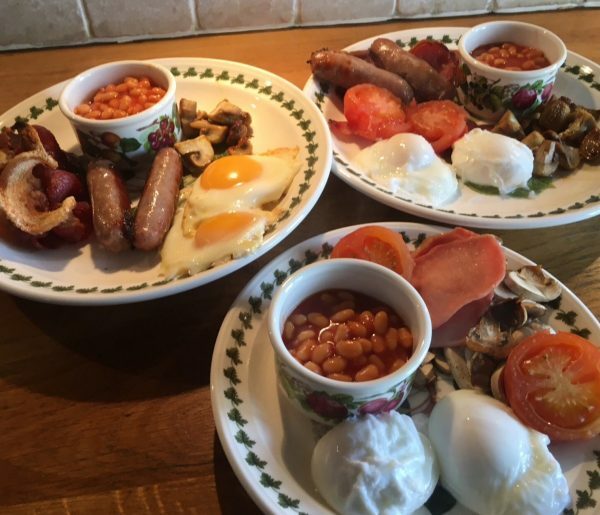 Price includes full english breakfast, tea & coffee and homemade cake/biscuits on arrival. A deposit is taken on booking. This deposit is non refundable unless I re-let the room. Evening meal with tea or coffee served in the breakfast room with the hot drink served in the guest lounge by the roaring log burner. A lot of the menu is home produced, and the rest is sourced locally, all is homemade. Chicken pie, all roasts, cottage pie, stew and dumplings, macaroni cheese, various salads, scotch eggs, quiche (hot or cold), toad-in-the-hole. Rice pudding, fruit crumbles and pies, mousse, steam puddings, fruit salad, pavalova, trifle, banoffie pie, lemon cheesecake. A 3 course menu will be discussed on booking to suit your taste buds. Light bites and a single main course is also available.